Naples Casamore Coquina Sands Condos: Welcome Home! This is an unbelievable opportunity to live directly on the Bay and right across the street from the beautiful Gulf beaches. The 4 bedroom and 4.5 bath residence was professional designed with the highest quality of finishes. It offers over 4,100 sq. ft. of premium living, including top of the line cabinetry, wood flooring, furnishings, and a state of the art sound and entertainment system. The layout offers wonderful entertaining areas both indoors and outdoors. One needs to only stroll across the street to access the sugar sand beach via your own private access or you can step aboard your boat located in your backyard. The boat slip is equipped with a lift for up to a 40 ft. boat and waters offer 11 ft clearance. The 4 car garage and the set-up for adding a full house generator complete this package. Location is just minutes away from Fine Dining and Shopping on Fifth Ave. South and 3rd Street South. Come and make your dreams come true!! Coquina Sands Homes: Another Masterpiece by the team of Naples ReDevelopment and Harrell & Co Architects. This 4 ensuite bedroom home has an ensuite study that can be the 5th bedroom, 5 full baths plus a half bath, 1st floor master suite and open great room plan oriented around the peaceful serene outdoor space. Solid Maple cabinetry surrounds the Subzero & Wolf appliances in the open kitchen and the wet bar. Legno Bastone wide plank wood flooring throughout the home compliments the stunning finishes selected by Kelly Godsey Design. Andersen and WinDoor windows and doors open to the outdoor living, which includes 1,300 sq feet of covered living, dining, gas fireplace, built-in grill & cabinets, plus a sunning area and a turf pad all overlooking the picturesque pool, spa and fire bowl feature. The 2nd floor has a western facing veranda which overlooks the landscape designed by Outside Productions. Located 1 block away from the Gulf of Mexico and Lowdermilk Beach Park. This spectacular home of modern elegance is scheduled to be completed in March, 2019. Coquina Sands Homes: H.13720 - Positioned on a lovely tree lined street in the heart of Naples is a newly, custom, built Herscoe, Hajjar designed tropical retreat. As featured in Florida Design Magazine: this two time 2018 Sand Dollar Award Winner for architecture & interior design encompasses all the unique products and finishes to make it an ideal setting for living the "Naples Lifestyle". The home features exceptional high end finishes and attention to detail that make this home one of a kind. The features include: 4 En-suite bedrooms + Study, ground floor Master, a chef’s kitchen with large island, custom cabinets, white quartz counters, Sub-Zero & Wolf appliances, butler’s pantry, a private elevator leading to the large 2nd level living area with morning Kitchen & additional laundry. The private outdoor area includes a salt water pool/spa with gas & solar heat, a large Summer Kitchen w/ fireplace, roll-down screens, and hurricane shutters. The garage is finished with custom cabinetry to make any handyman envious, propane generator, full smart home Control 4 technology including lights, music,& security. Located blocks away from all the amenities that the beach and Downtown Naples have to offer. Coquina Sands Homes: STUNNING! LOWEST PRICED NEW CONSTRUCTION ($739SF) WEBER DESIGN "COASTAL CONTEMPORARY" OPEN FLOOR PLAN 5 BDR, 5 BATH, 3 CAR GARAGE, RESORT POOL + SPA, "WALK-TO-BEACH" HOME. A MCGARVEY BUILT HOME OFFERS TOP QUALITY, EXQUISITE FINISHES AT SUBSTANTIAL BELOW REPLACEMENT COSTS. LOCATED VERY CLOSE TO BEACH & LOCATED IN A RARE "X" ZONE (NO FLOOD INSURANCE REQUIRED). 12' DOUBLE MAHOGANY + GLASS DOORS, 19' SOARING TRAY AND WOOD BEAMED ACCENT CEILINGS WITH STUNNING WOOD FLOORS THROUGHOUT AND A STONE FACED FIREPLACE AS A FEATURE WALL. HOME FEATURES A "GOURMET" KITCHEN WITH MASSIVE CENTER ISLAND WORKSTATION AND ENTERTERTAIMENT CENTER. APPLIANCES ARE ALL SUB-ZERO AND A CUSTOM WOLF GAS RANGE, ALL CUSTOM WOOD CABINETRY AND LEVEL 5 GRANITE TOPS THROUGHOUT. SPECTACULAR OVERSIZED LANAI, WITH CUSTOM DESIGN POOL SUNDECK + SPA. FEATURES A FULL SUMMER KITCHEN & BAR WITH A STONE-FACED FIREPLACE FOR COZY ENTERTAINING EVENINGS. COVERED LANAI HAS ALL CUSTOM MILLED CYPRESS WOOD CEILINGS AND ELECTRIC ROLL DOWN KEVLAR SCREENS FOR BOTH TOTAL SHADE COVER + STORM PROTECTION, CONTROL 4 HOME AUTOMATION SYSTEM, DOUBLE WATER HEATERS AND 2 ZONE A/C WITH WARRANTY. HOME COMES WITH 1 YEAR HOME SERVICE WARRANTY. Coquina Sands Homes: If a well situated spacious, private lot with lush mature landscaping coupled with a recently built contemporary home with sunlight pouring in from all directions is high on your list, then look no further than this nearly 4600 sq ft MHK-drawn masterpiece at 1531 Nautilus Rd in Coquina Sands. Completed in 2016, this 4 bed/ 6 bath (4 &2) residence is drawn with clean lines and adorned with a neutral palette and minimalist yet high quality finishes. With too many luxury appointments to mention, please view the virtual tour/video and make your appointment to see this incredible home today. Coquina Sands Homes: This spectacular property in the heart of Naples offers a rare lifestyle opportunity nestled just blocks from the celebrated beaches of Naples, Florida and within a short distance to the internationally recognized cultural district of "Fifth Avenue South," and “Third Street South”. This charming residence, has been completely updated and includes a modern kitchen with wood flooring. The great room concept features a chef's kitchen that opens to the dining and living space and is perfect for entertaining. The expansive outdoor living space features a large pool and separate private spa. Home is move-in ready and a “must see”! Banyan Corners Coquina Sands Condos: Location, Location, Location! If you have been dreaming of a new construction, intimate community of contemporary townhomes located one block from the beach, this is it! This great Coquina Sands location is also conveniently located to 5th Ave S, 3rd St S as well as Venetian Village and Waterside Shops. The refreshing architecture offers contemporary interior designs while maintaining a beach casual feel. This second level residence has a soaring 2 story great room with floor to ceiling glass walls that allow this home to be filled with sunlight and open views of your pool and outdoor entertaining area. The private entry is a beautifully landscaped patio area. This residence offers two bedrooms, two and a half baths, an open loft area and is fully furnished. The developer has an optional plan which converts the loft into a third bedroom with an additional bath. The sparkling and spacious infinity edge pool and spa surrounded by covered and open seating areas on the second floor make you feel like you are floating on air. Hardwood floors are throughout with spectacular tile work in the bathrooms, the latest in kitchen appliances, and a two-car attached garage. Coquina Sands Homes: Do no miss this opportunity! The 2002 extension more than doubled the size of this large 5 bedroom, 6 bathroom 4,477 sq ft Key West style home. This house competes with new builds at nearly half the price per square foot! Its 2 master suites and 3 guest suites are separated throughout the house, allowing for privacy. The new kitchen, oversized quartz island, and the extensive 2018 renovation make this completely updated home perfect for a large family desiring to live near the beach in Coquina Sands. Hurricane impact doors and windows. Conveniently located only a 5 minute walk from Lowdermilk Beach. Very large lot is .41 acres. Coquina Sands Land: BUILD YOUR DREAM HOME -- .31 acre LAKE FRONT lot in the beautiful Coquina Sands neighborhood. Perfect location walking distance to the beautiful beaches. 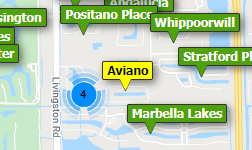 Property is located not far from Downtown Naples, close to the shopping and dining at Venetian Village and Waterside Shops and also near to Mercato - yes, you can have it all! Survey NOW available! Charleston Square Coquina Sands Condos: Breathtaking views of the bay from this spacious and bright 3 bed/4.5 bath 3,271 sq. ft. corner unit condo that lives like a home. Enjoy watching the dolphins from your two oversized balconies. Includes a boat dock with lift and two garage spaces. Multiple recent upgrades include top level granite in kitchen and baths, new hardwood flooring, new AC, new water heater, slide-out drawers in kitchen, Bidet toilet in master, new chandeliers and custom curtains and plantation shutters. The gourmet kitchen is a chef’s delight with a Sub-Zero refrigerator and Dacor and Asko stainless steel appliances. Located directly across the street from Lowdermilk Beach and Park with easy access to downtown, shopping, dining, and more! Charleston Square is one of the newest buildings along Gulf Shore Blvd. and offers impact rated windows and doors, 10 ft. ceilings, a rooftop pool, fitness center, social room, large air-conditioned storage locker, and renowned restaurants, an apothecary, and other convenient services. Pet-friendly, too. Make it yours today! Coquina Sands Homes: Opportunity is knocking!! Beautifully updated and maintained move-in ready property with 3 bedrooms, 2 baths in Coquina Sands; ready for new owners. Listen to just some of the amenities this property offers and see why we feel this is currently the best deal in all of Coquina Sands. Completely remodeled in 2017. Plank style tile throughout, no carpeting to clean and replace. Hurricane windows. Gorgeous open kitchen with white Carrera counters and island. Tastefully decorated glass black splash. Stainless steel appliances. Updated recessed rectangular lighting. Freshly painted inside and out. Private porch overlooking fenced in back yard. Mango trees, Avocado trees, Foxtail Palm trees all set on a deep lot that lives like your own personal private park. The list goes on and on. This is Florida living. Do the research, see if you can find a home in this condition, with these amenities and upgrades, in this location, on a lot this size, for this price, then make an appointment to see what a real deal in Naples Florida really looks like. You most certainly will not be disappointed. Harbour Club Coquina Sands Homes: With a great location south of Doctors Pass, this condo has two bedrooms plus an office. It is the best in Harbour Club by far! Sleekly remodeled in 2014 from top to bottom in fashionable European style, including new windows and HVAC system. Clean lines, white walls and white cabinets throughout with splashes of color make this condominium stunning. The open kitchen has granite countertops with an island, stainless steel appliances, Euro-style vent and ceramic floors. The master bedroom has wood floors, a sitting area and includes an en-suite master bath with shower. There is also a home office and laundry in the condominium. This residence comes beautifully furnished turnkey and includes a deeded boat dock. The boat dock was built new in 2014 and includes a SlideMoor docking system that allows your boat to be tied tightly to the dock while still allowing your boat to rise and fall with the tide. You can access the sandy beaches of the Gulf of Mexico directly across the street and take your boat to the Gulf of Mexico without bridges in less than five minutes. There is a beautiful pool too! Surfside Club At Coquina Sands Coquina Sands Condos: Sunshine filled Beach Escape... Located in the charming Surfside Club of Naples, right next to the iconic Naples Beach Club Hotel and Golf Club, this lovely 2 bedroom/1 bathroom residence provides an efficient layout, and a bright, sunny interior. The "end unit" location provides several extra windows, that flood the interior with natural light. Cute, cozy, and welcoming, this condo has been tastefully updated, and lovingly maintained by the current owners for many years. A popular destination for Beach Lovers, Surfside Club is within walking distance to the Naples City Pier, and the Olde Naples Historic District. With a reputation for being one of the friendliest condos on the beach, sunset gatherings at the pool are a favorite pastime of the residents. Priced under $500,000, this is quite possibly the best beachfront value in Naples. Banyan Club Coquina Sands Condos: WALK TO THE BEACH! This ideally located unit is a short walk to Lowdermilk Park and within close proximity to Naples' famous 5th Avenue South and 3rd Street South. The unit features new kitchen appliances and a newly renovated master bathroom. Banyan Club is a well-managed community with low fee. Don't miss this rare opportunity! Eleven Hundred Club Coquina Sands Condos: With Naples’ white sand beaches only steps to one side and the invitingly tree-lined streets of Coquina Sands to the other, this delightfully updated, exquisitely located two-bedroom, two-bathroom Gulf Shore Boulevard condominium presents a unique opportunity that surely won’t be available for long. Whitewashed flooring and plantation shutters throughout the living areas and bedrooms lend an old Florida feel, while modern updates ensure your day-to-day comfort. The immaculately done eat-in kitchen with white quartz countertops, stainless steel appliances, pendant lights, and light oak cabinetry faces an airy living area. Residents enjoy a private, in-community pool, social room, dedicated storage, and deeded beach access. This first-floor residence is one of only 39 units in the Eleven Hundred Club, and the property includes a large, central courtyard and lawn. The historic Naples Beach Hotel and Lowdermilk Beach Park are steps away, and within minutes find yourself along historic Fifth Avenue South or Third Street South, or the shops and restaurants of Venetian Village or Waterside. Calusa Club Coquina Sands Homes: C.14706 -Highly desirable Gulf of Mexico and Lowdermilk Park location in Coquina Sands – just perfect to enjoy Naples beaches and the stunning green-flash sunsets! This charming 2 bed/2 bath condominium with a screen and glass lanai, wide plank French-oak wood floors and a coastal décor awaits you! Calusa Club is a superb low-density complex with a large community pool & patio, covered parking, brick pave driveways and extra storage for beach chairs or golf clubs! Calusa Club owners are proud of their pristine complex which is maintained by an on-site professional manager who works to keep things in tip-top shape. Sports enthusiasts, beach combers and foodies can’t help but fall in love with the carefree lifestyle in this premier location, with the beach, fishing, golf, tennis & 5th Ave dining nearby! The Charleston Square Shops adjacent to this building offer the popular First Watch for breakfast and lunch, a pharmacy, a beauty salon, an Italian restaurant and more for your convenience!